Calibrating to “ascension frequency” primarily means to calibrate our consciousness to the higher frequencies of light that constantly surround us and enter our bodies with every breath. These higher frequencies of light resonate to the frequency of ascension, which is the fifth dimension and beyond. As we calibrate our consciousness to the higher dimensional light we begin to become consciously aware of our thoughts and emotions. This calibration is not an easy task. It’s not very difficult to be conscious when we are having a really good time, when we are meditation, laughing with a friend or having something loving and joyful happening. Then we want to be conscious. Happiness automatically draws us to be conscious of our interactions with life. On the other hand, when we’re hit with a challenge that ignites a fearful emotional trigger, especially something in our unconscious, then we react to rather than unite with our environment. Worse yet, we engage in the negative of the third dimension rather than live in the glory of the fifth-dimensional ascension frequency. When we’re in the third-dimensional frequencies we focus on action and reaction. If we are going to expand our consciousness into the ascension frequency, which will automatically change our reality, we must put out a specific intention to be conscious of the thoughts and emotions that fill our body and our aura. When we are conscious, we can catch our self when we re-act rather than respond. A reaction is usually unconscious and often based on fear. On the other hand, a response is based on conscious awareness of our inner and outer worlds. When we are conscious in this fashion, we can observe how our state of consciousness determines the reality we are living. Reaction is something that is a third-dimension action, and it puts us into a more unconscious state. Responding is a fifth-dimensional action as it reminds us that we have a choice about the world that we create with our own thoughts and emotions. What we want to do is to respond to the resonance of the situation rather than react to the words. We master our ability to respond rather than react by taking a breath to feel our emotions in our body while we listen to our thoughts. We are used to, especially in the West, leading with our brains, leading with our minds. We forget to engage the emotions of our body. It is important that we engage the body because our bodies resonate to our world. Our body also influences our fourth-dimensional aura, which is our passageway into the fifth dimension. When we consciously feel the resonance of our bodies and move into a fearful third-dimensional situation, it feels like hitting a brick wall. We know we do not want to hit a brick wall, so with this important information, we can choose to “refuse to participate in that reality.” However if our third-dimensional reality feels good to our body/aura, we can choose to engage in that version of reality. I am an avid gardener, and my yard is better this year than ever. We’ve lived in this house for seven years and part of it is the time of things maturing and part of it is the energy field. I was meditating in my yard the other day, and when I looked around in my higher state of consciousness, everything looked and felt different. The trees had a different resonance and the grass had a glow. Suddenly I realized this is just like New Earth. 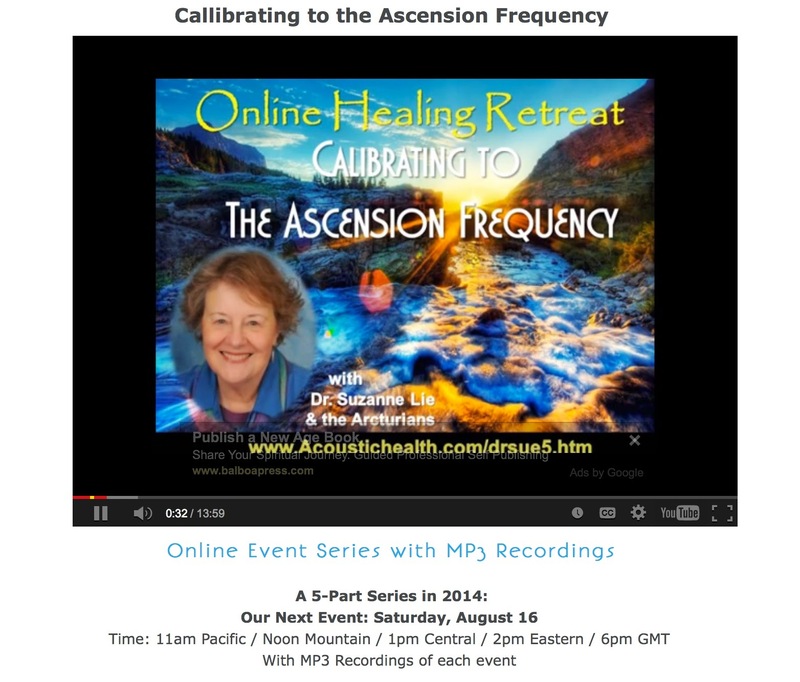 This was the ascension frequency in action. Then the moment that I labeled it with my 3D mind that vision went away. However, I had that moment of perceiving that higher frequency. I think these types of shift are what will be happening more and more often for more and more people. What that tells us is that the ascension frequency is all around us. We just need to tap into it and let it expand. We “tap into it” with our multidimensional consciousness, and we will drop out of it when our consciousness lowers. We can only perceive a reality that is the same frequency as our state of consciousness. Today we are talking about the elementals. And part of the reason that I wanted to talk about the elementals is that in writing my Pleiadian Perspective books and coming to the end of the whole series, the hero and heroine begin their process of transmuting into Lightbody by tuning into the elementals. The third dimensional elements of earth, air, fire and water have fifth dimensional elementals of earth/Gnomes, air/Sylphs, fire/Salamander and water/Undines. We can see the earth, the air, a fire, and we see water. When we merge our consciousness with our fourth-dimensional aura we can vaguely perceive the Elementals. However, Elementals are primarily fifth dimensional. Hence we can only perceive them via our fifth-dimensional Lightbody. The elementals are like our physical body, which is composed of the same earth, air, fire and water as Earth. In this manner, we are ONE with our planet Earth as we are composed of the same elements. Earth is our physical body, Air is the oxygen inside our bodies, Fire is our neurons firing and we are born with 77% of our body as liquid (water). That amount of water diminishes as we age, except when a woman is pregnant. It is through our Elementals that we can deeply bond with Gaia because Her elementals are everywhere in our environment. Earth’s Elementals are fifth dimensional, so they are not bound by time and space. In the same manner, the elementals in our bodies are NOT bound by time and space. The most immediate way that we interact with these elementals is through our breath. When we breathe in the higher fifth-dimensional elementals we’re going to think of things that we’ve never thought of before. We are able to balance our emotions more than we’ve ever done before. We are able to find energy and health in our bodies that we’ve never had before, and our Kundalini becomes more activated than ever. Greetings we are the Arcturians. We wish you to know that we have been with you throughout the entire webinar. When you first commune with your higher expressions of SELF you may experience that your higher self is above, beyond and far, far away. Once you allow yourself to breathe in your personal and planetary Elementals, you begin to have an awareness of the Universe that is truly inside of YOU. Outside of you is the holographic projection of the 3D Matrix, but inside of you is the “real world.” As you realize that fact, you become more conscious of how you are intermingling with your higher expressions of SELF. In terms of these energy fields that are flowing within your Now, there has been a lot of expectation and the resulting disappointment, which began with 11:11, 12:12 and all the different “times” that humanity thought they were going to instantly flash into the fifth-dimension. An instant flash of that sort would have created great devastation because the majority of the energy fields were nowhere near being balanced. There needs to be a majority of light in order to have a peaceful transition. During the fall of Atlantis, Gaia also had a great fall. She was never meant to go all the way down to the third dimension. She was not meant to go into this darkness, but the disaster of Atlantis was so intense that she almost lost her position on the Axis. Hence, Earth fell into the low frequency of the third dimension. Part of the reason that happened was that she had accepted different laggards in her great heart. These “power over others” beings had gone through ascension timelines on other planets and didn’t pass. Fortunately for them, Gaia accepted them into her school of learning about cause and effect. 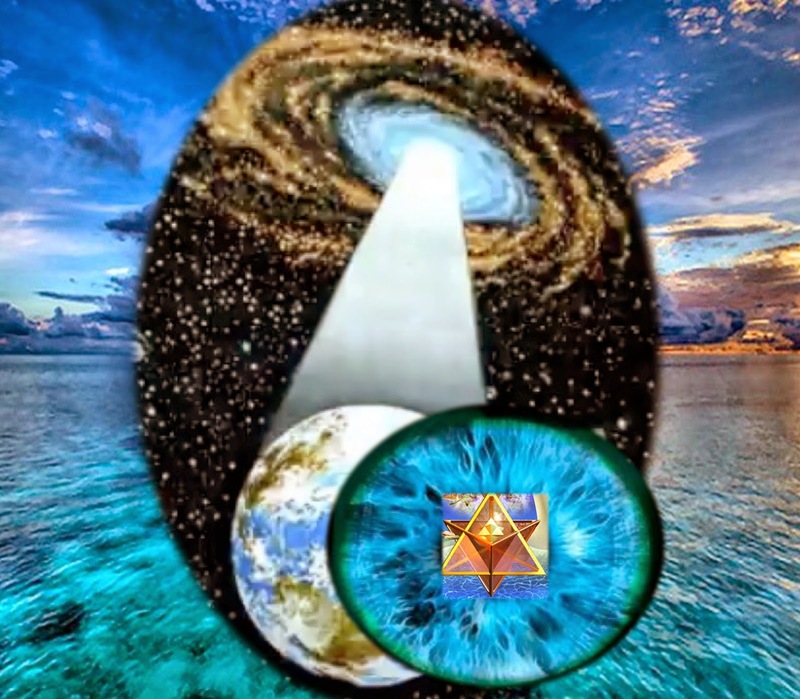 What is occurring within your Now is that those who are choosing to go through the great initiation of assisting Gaia with Planetary Ascension are being blocked by those dark ones who have resisted ascension on many other worlds, as well as this one. To counteract these dark ones, many of our Celestial and Galactic Families have chosen to wear an earth vessel in order to assist you to remember how to unconditionally love these dark ones, for that is the only way you can deal with them. Fortunately, the energies that are occurring within this NOW are of a very high frequency. With this very high frequency, if your body is prepared enough, you can accept that frequency into your form. To retain this higher frequency you will need to make some lifestyle changes. You will not be able to maintain your higher frequency of form while living a frenetic lifestyle. Many of our volunteers in human vessels have been able to tune into the ascension frequency and travel it with their consciousness to communicate with their Multidimensional SELF in the higher dimensions of reality. To maintain this connection they know that they need to find a way to release the stress in their life. Many of them are moving into the country, changing their career choices, working from home. These choices, as well as many other different types of solutions, are being made because they know that in order to maintain this state of consciousness they need to be protective of the environment in which they place themselves. We the Arcturians, look forward to visiting you as your Lightbody again, as that is the YOU that we perceive. Thank you Sue for the lovely message about elementals, stress, lifestyle changes and reaction. So important all. Emotional, mental and physical bodies all need our attention. What helped me enormously was to realize that I cannot change the present moment (=what ever happens to me or "around me") because the present moment has already been created (by all of us as a whole). There is no point in not "accepting" things as they are (=to compare, judge, dislike etc.,) because, if I want to change the present situation/moment, it means that I do not "accept" myself/us/the world and I end up creating more separation, more duality, more swinging from the other end of the pairs of opposites to the other end, like a pendulum. Then I start to just observe my dislike, how I escape my fears and emotions by blaming others. I observe my thoughts and how I judge and give different values to different things. I observe myself in relation to everything. I observe my reacting with understanding what really happens, and I notice how the reacting gradually fades away giving space for something NEW. Then I can start to CONSCIOUSLY create this "something NEW" , but first I have to be free from all desire. When I reach that understanding/state of mind I can start to use that desire/emotional energy to create the NEW, (=without attachment, without being dependent), together with mental energy (thoughts and mental body finds the way to balance when we do not spend energy for constant dislike and changing of the present moment). The moment we have lived and experienced the so called "present moment" it is not a present moment anymore, it is a past moment. If we get stuck to this "past moment" (which I named the "present moment" in my above comment) by judging it etc. we never really live in the NOW. ITALIAN TRANSLATION O of this page or other pages also from www.multidimensions.com:send email address and we "ll do our best ..